Every great idea started somewhere, no matter how large it has become. Geno’s Steaks origins started with two boxes of steaks, a handful of hot dogs, and six bucks. In 1966, Joey Vento fired up the grills at 9th and Passyunk and cooked up a legend. Fifty incredible years later, we are proud to celebrate Geno’s legacy and all that it has accomplished. It is impossible to reside in or around Philadelphia without knowing about Geno’s Steaks, and it is nearly as hard to have never eaten one. You cannot go to Philadelphia, as a tourist or not, without at least trying a cheesesteak. Getting a taste is not to be missed during your time in the city, and it is inevitable that you will be hooked from the first bite. There is a reason Geno’s Steaks stayed open this long. Most restaurants in a bustling city like Philadelphia do not make it to the first year mark before closing; it is truly a game of survival of the fittest. Lucky for Americans everywhere, Geno’s proved to be a leader in the race. You could certainly say that Geno’s exceeded the expectations of other food joints- surrounding stores initially believed that Joey Vento would shut down within six months. It is obvious that this was not the outcome. In 1971, Joey and his wife Eileen welcomed their son, appropriately named Geno, into the world. He grew to love his father’s business and followed in his footsteps since his teens. Joey Vento passed away in 2011, but Geno remained determined to carry out his father’s legacy, and we are endlessly grateful for his will to keep this establishment alive. Geno’s turned into a name known around the country. We proudly served many well-known celebrity guests such as Anderson Cooper, Vince Vaughn, and Chris Rock. 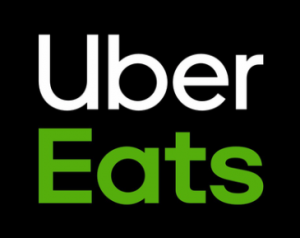 We even had the pleasure of serving food experts like Wolfgang Puck, Bobby Flay and Giada De Laurentiis, to name a few. Let’s face it, no matter what some may claim, Geno’s is the place people go to when they want the best cheesesteak that they can get their hands on. Geno’s Steaks is an icon in Philadelphia. Arguably up there with the Liberty Bell and the Philadelphia Art Museum steps, it is hard to go to Philly without trying this city staple. 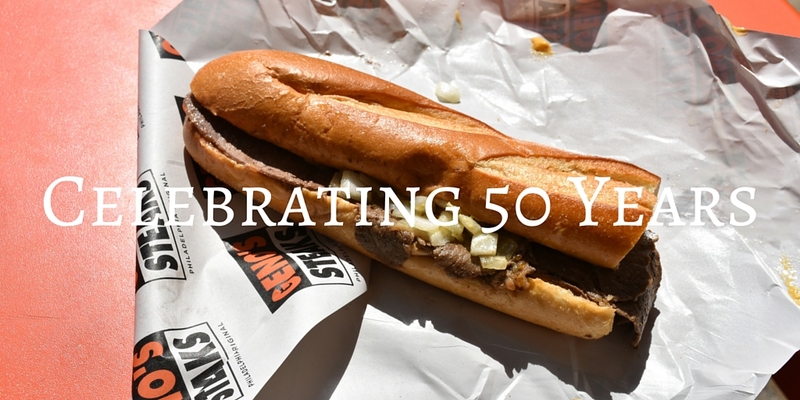 What better reason is there to get a sandwich than to celebrate a fifty-year anniversary? The fresh bread and onions, thinly sliced rib-eye steak, and warm layer of cheese are absolutely an essential to a day or night in the City of Brotherly Love. In addition to the delicious food you are sure to get at Geno’s, the atmosphere itself is part of the experience. Picture yourself sitting outside with a freshly prepared cheesesteak. The walls are covered with visiting celebrity photos and badges from firemen and policemen from endless locations. You can hear the roar of the surrounding city, the happy chatter of fellow guests, and the sizzling of steak cooking on the grill. Now, imagine that every night for the past fifty years, and you have Geno’s Steaks. Join us at Geno’s Steaks any hour of any day of the week. That’s right- we are open 24/7, and there is absolutely no judgment if you decide to indulge for breakfast. In fact, we will simply be impressed by your dedication. Happy 50th Anniversary, Geno’s. Thank you to our loyal customers for the past five decades, and to the many more to come.